Everything you need to make 6 projects is included in the set. 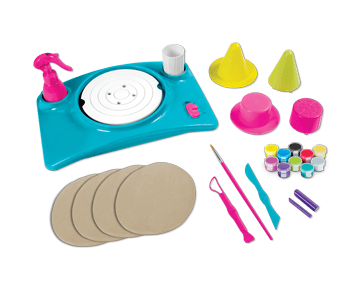 Refills of the clay can be purchased as well so the fun continues beyond the items included in the set. 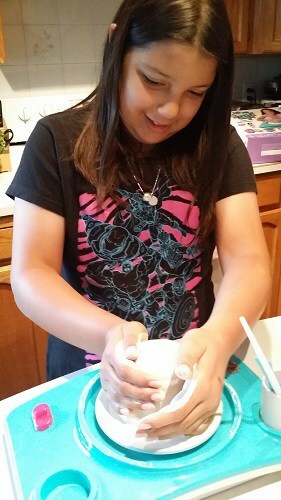 My Little One was in heaven with the Pottery Cool Studio. She loved making items and they became gifts for her auntie and more. Remember to clean everything up right after use as well as it is best to get the clay off of everything right away. Everything is easy to clean and only takes a few minutes after the project is done. 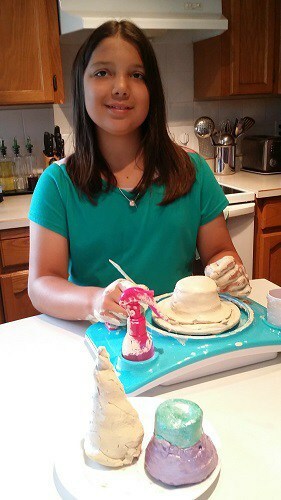 My Little One went back to the Pottery Cool Studio day after day, making new projects and we are in need of getting new clay and project packs now to keep the fun going. I recommend that you check out Pottery Cool.